Acrylic and latex paint are somewhat similar as they are produced from acrylic resin. Once the acrylic and latex paints were produced, it replaced oil and alkyd paints. Though both paints are similar in some respects, they have many differences between them. When latex paint is more used for painting homes or other structures, acrylic is mainly used in artwork. Latex paint is available everywhere, and you can buy them from any hardware store or paint shop. On the other hand, acrylic paint can be bought mainly from craft stores. When latex paint is water based, acrylic is chemical based. As the acrylic has chemicals, it is more elastic than latex paint. The acrylic paint contracts and expands better than the latex paint because of this elasticity. The acrylic paint is more durable as it resists flaking, chalking, and peeling. 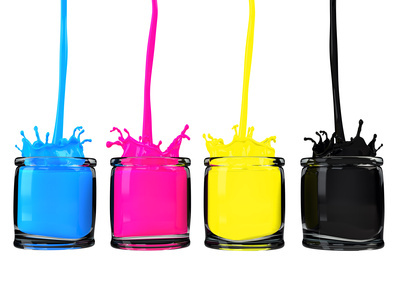 Unlike latex paints, acrylic is flammable as they have chemical compounds in them. Moreover, the acrylic is also considered to be more toxic than the latex paint. In painting the surfaces, latex is easier to apply than the acrylic paint. Moreover, the latex paints dry faster when compared to acrylic. In case you want to remove latex paint, it can be easily done by soap and water. However, it is hard to remove acrylic paint and thinners are needed. Another thing that can be seen is that latex paints give good coverage with fewer coats. Most of the designers choose acrylic to latex paint when painting the exterior of a building as acrylic contracts and expands according to the temperature and weather. Finally, when comparing the cost of the two paints, acrylic paint is more expensive than latex. 1. Latex paint is more frequently used for painting homes or other structures; acrylic paint is mainly used in artwork. 2. When latex paint is water based, acrylic is chemical based. 3. As the acrylic has chemicals, it is more elastic than the latex paint. The acrylic paint contracts and expands better than the latex paint because of this elasticity. 4. Latex paints give good coverage with fewer coats. Most of the designers choose acrylic to latex paint when painting the exterior of a building as acrylic contracts and expands according to the temperature and weather. 5. When comparing the cost of the two paints, acrylic paint is more expensive than latex. 6. Latex paints dry faster when compared to acrylic. Prabhat S. "Difference Between Acrylic and Latex Paint." DifferenceBetween.net. May 13, 2011 < http://www.differencebetween.net/object/difference-between-acrylic-and-latex-paint/ >. Holy wow, this article is almost entirely wrong. First of all, there is no practical difference between acrylics and latex. Latex is a general term for buckets of acrylic paint. Both are water-based, acrylic based, and have little else different. Cheaper paints have more vinyl, which makes them more elastic–called “latex.” Acrylics marketed as “acrylic” are generally higher-quality with different hardeners and binders, and thus better paint. You have it backwards in this terrible article. Second of all–both acrylic and latex are WATER based. You say acrylic is not water-based but is CHEMICAL based. You do understand everything is a chemical, especially water, right? What “chemicals?” H2O. Which is water. Acrylic paint is water-based. Finally, acrylic–and latex, also being acrylic–are both non-toxic due to their being water-based. Acrylic paint is *not* flammable. This entire article is a disaster. Put the weed in the coconut and light tha &hit up! I agree 100% with Chris. Did anybody actually do some research before writing this horribly inaccurate article? Can we get somebody (who isn’t a complete moron) to please take this down and re-write this entire post? Who wrote this pile of trash, fox news? Come on now, do a little bit of studying the facts on something you intend to inform a mass population about. This is just despicable journalism. I hope anyone who reads this checks the comments and listens to Chris. When it comes to house paint, they are similar in that they are water based, but the more acrylic in the paint, the more durable it will be. So if it’s labeled “latex”, it just has more vinyl in the mix so they can use less acrylic and be cheaper. Therefore, “acrylic” paint has no vinyl, and that’s what your going to find when looking at the the superior paints. Thank you gentleman for taking the time to comment. I know you guys have helped me out even if I’m the only one in the end. I suggest that you revise this article in fairness and helpfulness to your readership. It will also help to restore your credibility. Remember, not everyone who reads articles, even when he or she might have strong opinions about the content, will write a comment. I would not assume that many other people have read this and the comments. Sorry, Kate! I meant to write this to the writer of the article. We commenters are unanimous in our corrections on this article. So called latex and acrylic paints are BOTH water based. As a frequent DIY interior remodeler, as well as an abstract artist, I know my paints! I have taken many classes sponsored by Golden Paints, one of the highest artist grades of acrylic paints available on the market. The more acrylic pigment and the higher the percentage of , the higher the grade of paint. If you look at the ingredients of Benjamin Moore’s “Regal Select” premium eggshell finish paint (Blueberry – a black color), they are water, acrylic polymer, limestone, kaolin calcined (reduces shrinkage), a coalescing agent, and pigment. This incredible black paint successfully covered a white, textured wall in one count of hand brushed painting. It is hard to understand how such a simple topic could be so inaccurately reported. Thanks to the comments I am now informed. Although, the basic question that led me to this site “what’s better paint” was basically answered by the original article. Check out the ads on the page… This site and all the other inaccurate info pages like this one are just keyword barrages to get ad traffic. Obviously the article was written by an Obama Votee. The only ones getting jobs right now. Oh and other 3rd party India Radical Muslim types who Think they’ve pulled a Fast One on America. I go news for ya. Pack your Skjt up and prepare to be shipped right back where you came. Visa overstayer Bratz and their 25 relatives they brought with them while taking college away from True Real Americans. Your Time is Up and Yes we Will DEPORT your 60% off $prices for a 10 per room Apartment. YOUR GONE ! You are a strange, sad little man. Hello all! As an engineer that used to work in an architectural coatings plant, I just wanted to throw my 2 cents in. Acrylic, styrene, and vinyl are the 3 main types of water based ‘latex’ paints (in order from highest to lowest cost). Of the three, acrylic paint is the most durable. It has very good UV resistance, and is used in exterior paints due to its ability to resist weathering and chalking. It is also used in elastomeric roofing membranes, which needs to be very flexible. Styrene is not as durable or UV resistant as acrylic, but it tends to have better water resistance. Sometimes syrene and acrylic are actually blended together to save money and get better moisture resistance (at the expense of overall durability). Vinyl based paints are the lowest cost, and are very hydrophilic (tending to absorb water and break down). They are used ONLY in interior applications, and tend to be used is lower wear applications like ceiling paint. Overall, gloss and hiding power have more to due with pigment concentrations. A 100% acrylic paint can be glossy (low pigment volume concentration, or PVC), eggshell (medium), or flat (high PVC, good hiding). Vinyl paints tend to be in applications that use high PVC (again, a ceiling paint you don’t want to be glossy). All three water based paints are relatively easy to clean, but usually show brush strokes. For applications like woodwork or doorways, alkyd (oil) based paints may be preferred. They have excellent flow (less brush strokes) and are generally a harder, very physically durable finish. They trade-off is they are more difficult to clean (requiring thinners) and take longer to dry. Acrylic paint is most certainly flamable after it dries (as are styrene, vinyl, and alkyd based paints). However, the thickness is so small that the material being painted is probably a more important factor in overall safety. As an artist, my question involves mixing artist’s acrylic with latex acrylic house paint. Does anyone know if you can successfully mix the two if you are doing an acrylic pour painting? And if so, how much additive (like Floetrol) do you put in the acrylic latex house paint (or do you just use water)? Thanks for any help.